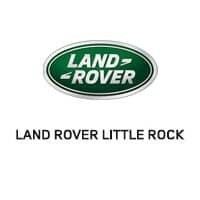 Our Little Rock Land Rover dealer wants you to be able to get acquainted with us before you even step ent: foot into our building, so we’ve provided a virtual tour for you. We have some featured models out in the showroom, which our knowledgeable sales staff will gladly walk you through if you have any questions about them. Walk a little further in, and you’ll see our gift shop, perfect for you or the Land Rover enthusiast in your life. Pick out a Land Rover accessory, or maybe a Land Rover shirt, hat, or water bottle makes for a perfect addition to your new companion on the road. Next to the gift shop is our Little Rock Land Rover service center, staffed by certified technicians who know your car inside and out and will get you back on the road in no time when you come in for scheduled service. As you walk around, you’ll notice all the customer waiting areas we have, with comfortable leather seats, televisions, and free Wi-Fi. Our number one concern is your experience with us, and we want to make sure you are as satisfied as possible when you leave our dealership. Contact us today if you’d like to schedule a test drive, service appointment, or just have some questions. We’ll be happy to answer them!